On this blog we would like to show you all the wonderful rural values ( including the nature, tourism services and opportunities, the artisanal products of local agriculture ) or just the peaceful lifestyle which we are surrended by. Hope you enjoy it and will get the feeling to visit us. village of Sant Feliu de Boada (Girona, Spain). The village is surrended by medieval towns and by amazing natural areas. Hope, we can help you to make your vacation unforgettable. 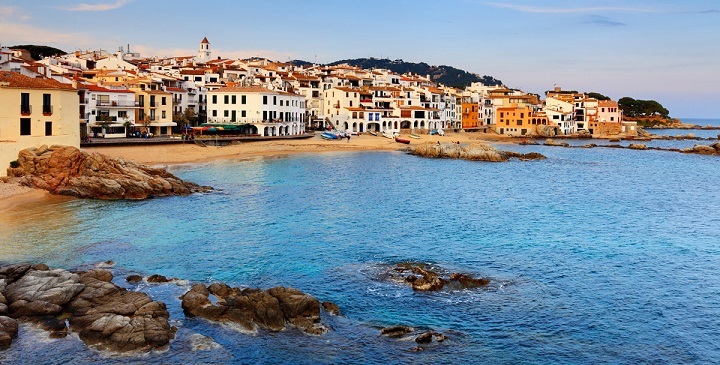 Sant Feliu de Boada is an excellent starting point for cultural, gastronomical or natural routes. There are lots of places to see in the nearby area of Baix Empordá. You can find several different routes for walktours and cycle tours, too. Discover the rural-natural values, the nearest beaches, or the cultural programs. 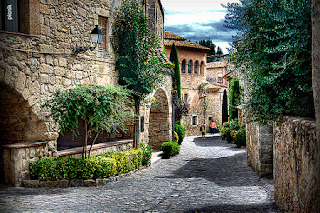 - Visit the historycal town Pals or Peratallada with us! For more information click here. 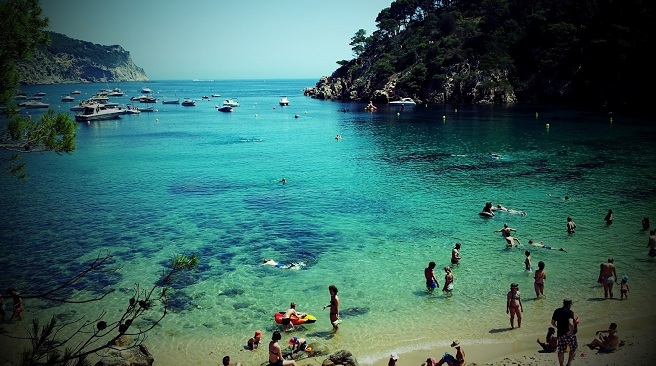 If you would like to spend your day near to the sea, you can choose of more places (Montgrí-L´Estartir; Platja de Pals; Begur, Palafrugell, Mont-rás, etc.). We collected the nearest beaches which you can reach fast and easily. For the map and description Click here. Baix Emporda is a region filled with natural spaces inviting us to take a walk or climb a mountain near the sea. Every year there are an increasing number of guided hiking and cycle tourism routes offered. You can also enjoy yourselves at golf courses or Pitch & Putt, Horse-back riding, as well as sea-based activities and flights. To see the actual offers of the Tourism Activities: Click here. The culinary traditions in these lands make gastronomy a living fact, visible in markets, fishing docks, popular festivals and large offering of restaurants with constantly changing choices of both popular and design cuisine dishes. To read more about gastronomy Click here.